Kitchen is one of lovable parts at a house. It’s more than a space for cooking and having meals, at the kitchen, we can welcome and entertaining our guess, neighbors visiting us, and even gathering with family at Sunday morning or other free days. When renovating or remodeling a kitchen, consider that the new one makes our heart more alive, so we can go further to do the lovely activities there. Well, there are some inspiring kitchen decorating ideas we provide to you who have a plan to remodel or re-decorate your kitchen. Just check them up. An elegant rustic kitchen set is one of best ideas to apply, especially for you loving much of elegance in each part of your kitchen. Huge kitchen island is so perfect to accommodate all things need to prepare before cooking. A set of sink and faucet is installed together to make us easier in cleaning up the dishware, vegetables, fruits, etc. Rustic is obviously recognized just by furniture choice, illuminating-style, and wall & floor systems. 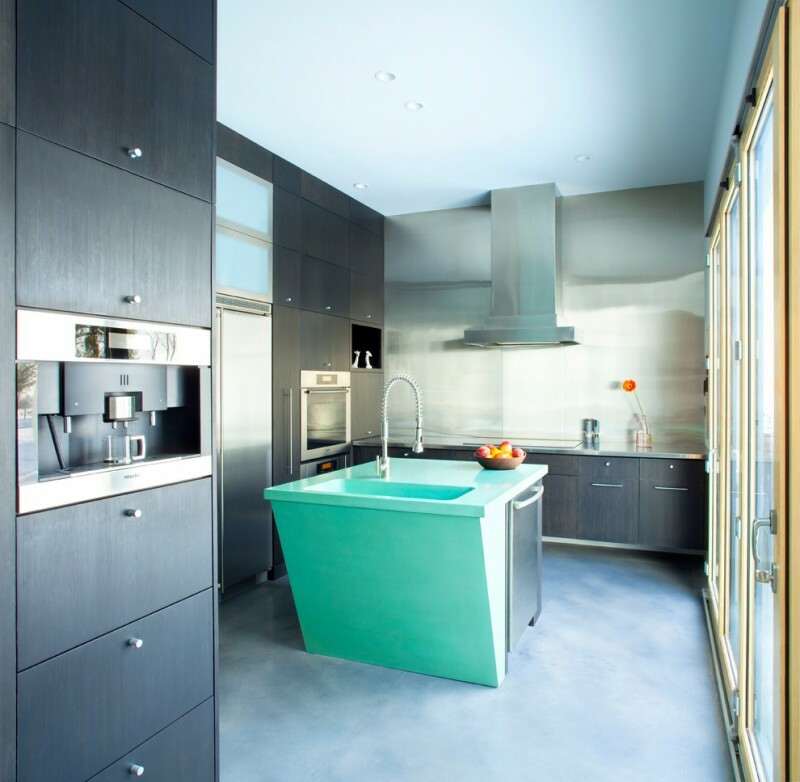 Turquoise sounds great to be applied as additional color tone for a modern minimalist kitchen. The color is pretty matched to be combined with purely white color. 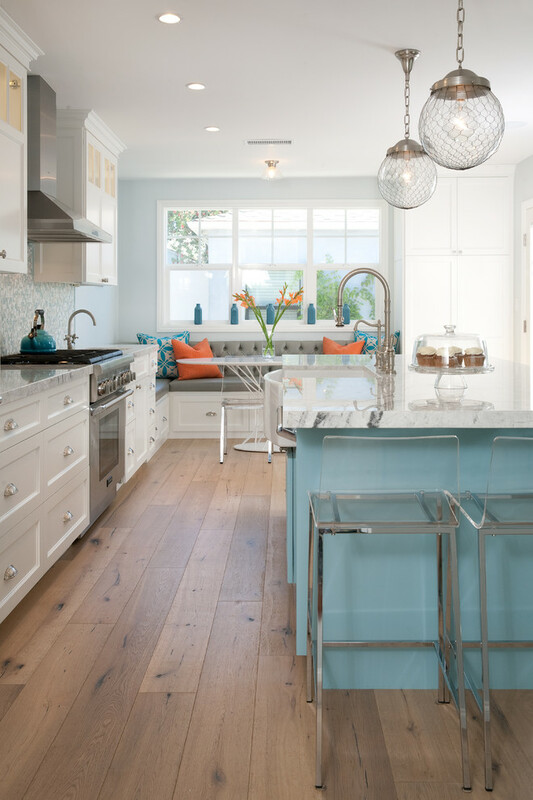 A couple of turquoise bar stools, for instance, becomes the focal point of a room dominated white. 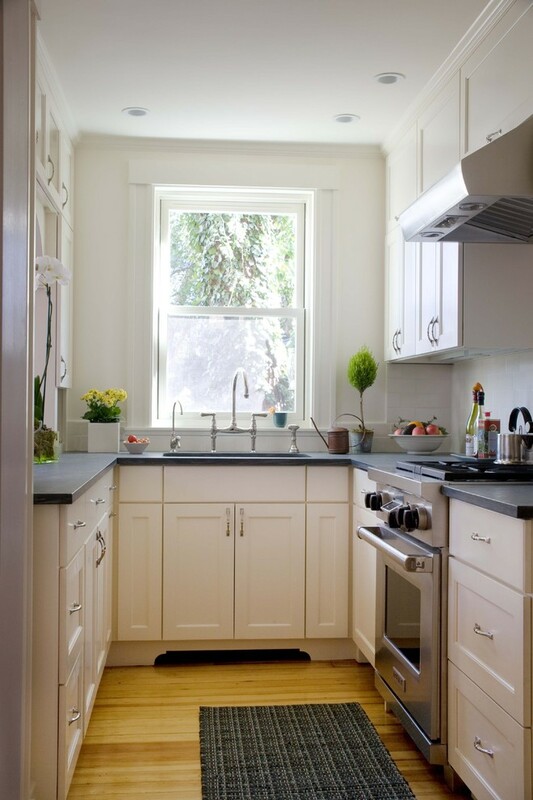 All elements of kitchen use white to highlight this small kitchen. Cabinets, countertop, kitchen island, and even the pendant lamps are simply beautiful on white. 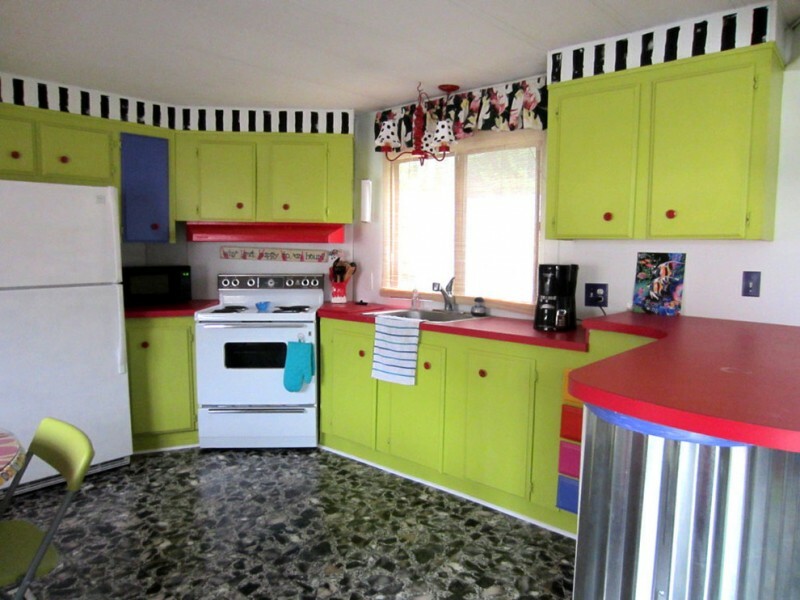 Cooking will be much more fun if kitchen set is designed in cheerful colors. Green cabinets and red countertop are best combination in which those colors invite us to come and do fun cooking there. 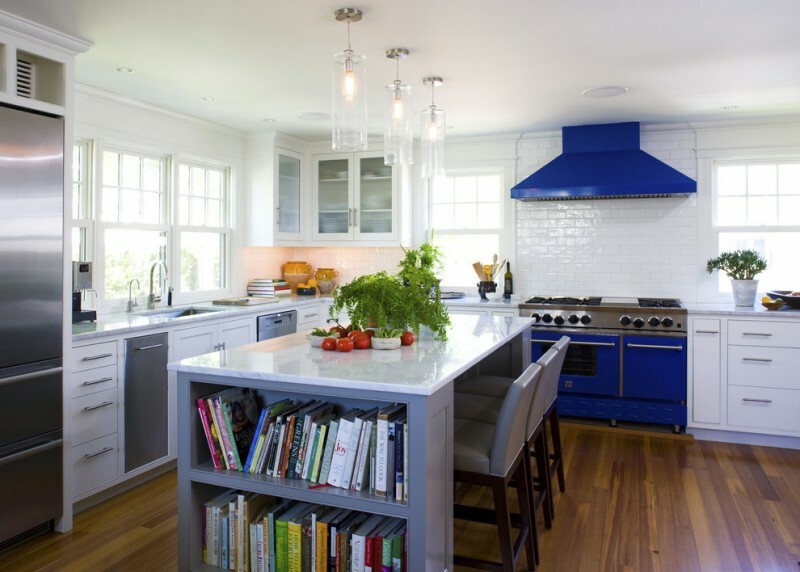 Monochromatic ceiling decoration adds different nuance for the kitchen itself. So does the floor; dark marble flooring system, as if, neutralizes what the eyes glancing. 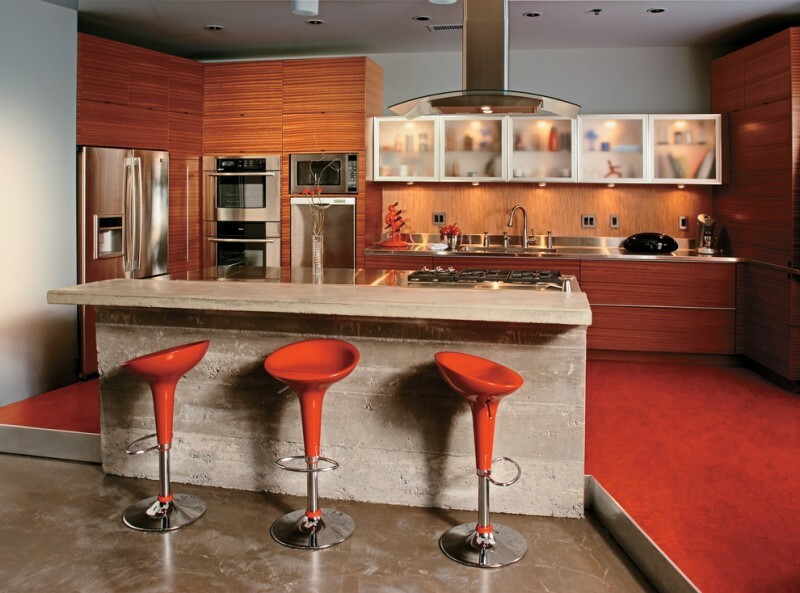 Contemporary kitchen is pretty idea by adding some chic tones like clearly bright orange, green, and white. 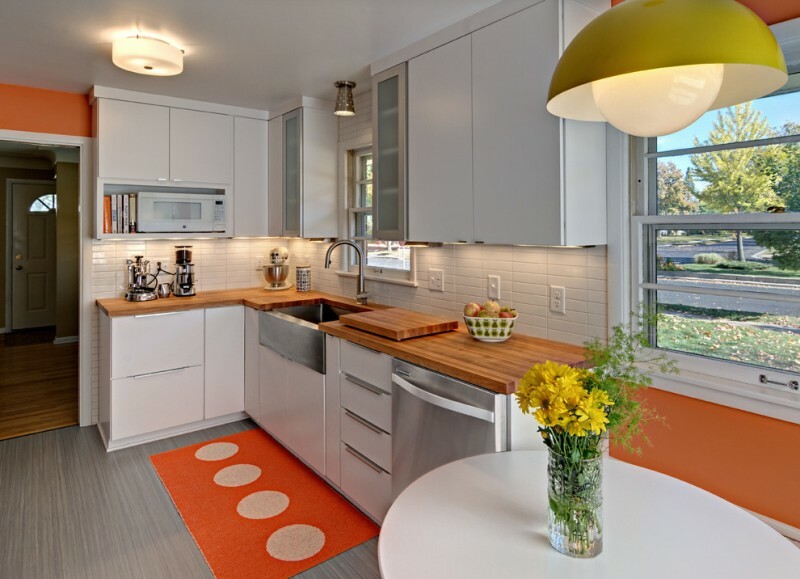 Orange kitchen rug with rounded white ornaments becomes the focal point here. 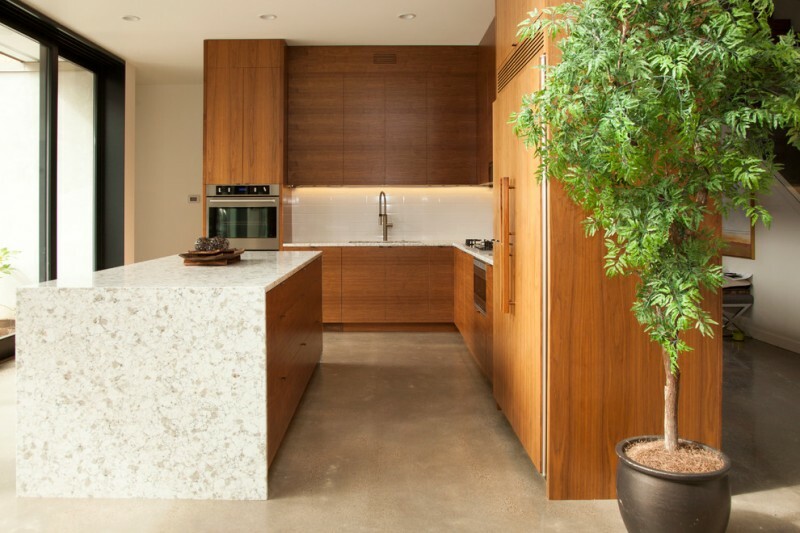 Wooden countertop plus white cabinet systems are frankly matching combination. 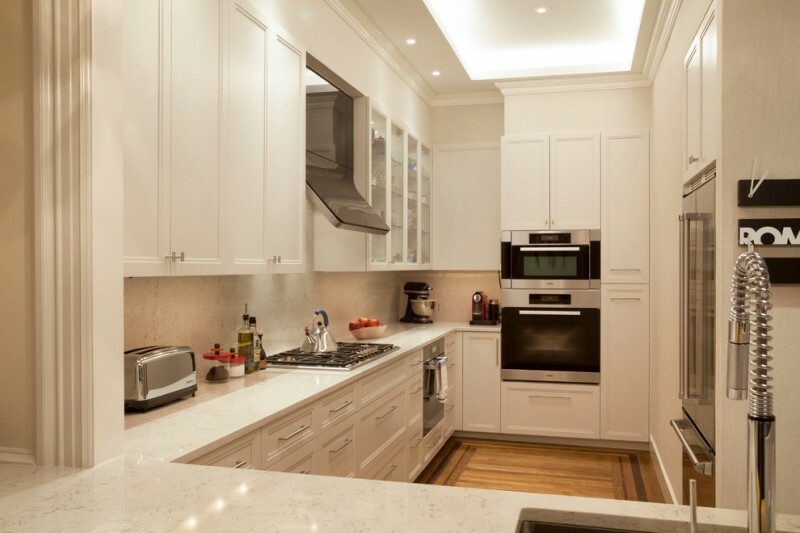 Warm-light illuminated from under top cabinets makes the countertop more alive. Kitchen island combined with bar table is recently popular after people nowadays love using it as the favorite one. The concept emphasizes the effective-use kitchen island and dining table as one. This concept is easily recognized just by its bar stools. Navy-blue tone may be applied at one of kitchen appliances such image above. Kitchen island with recipe-book shelves is unique. It’s easy to grab the book when it’s needed. Just move little closer on shelves, then read the recipe we want to execute. 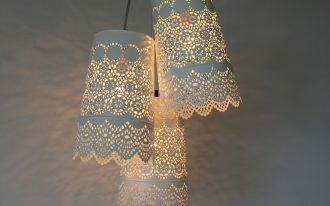 For vintage lovers, this idea may attract you to apply similar one. 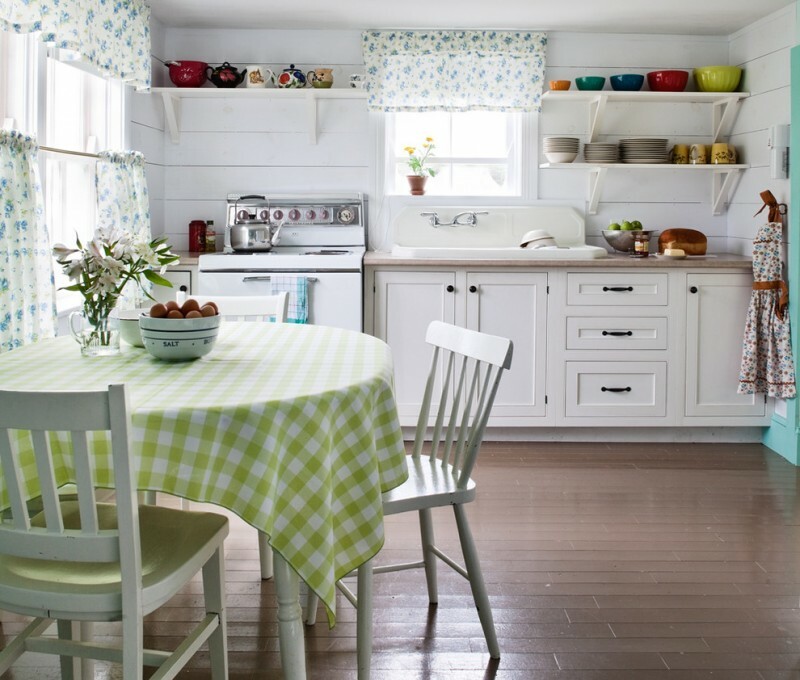 Nuance of vintage is obviously felt just by green-white table cloth, simple dining furniture set, tiny & white kitchen counter, open-shelves idea, and half-window curtains with nature motifs. 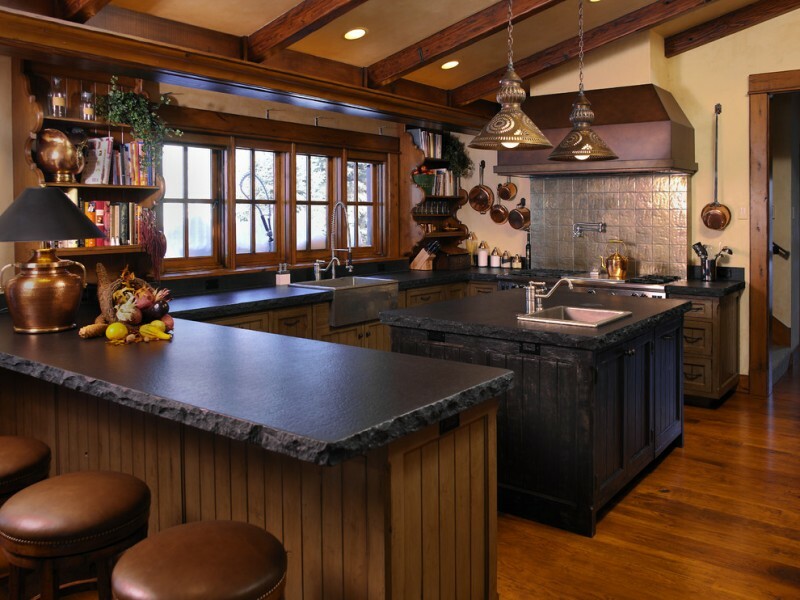 Rustic-Victorian kitchen idea is a combination of two different styles: rustic and Victorian. Both rustic and Victorian, actually, have different look in interior design. By considering precise proportion, it’s going to be a perfect and new idea to apply for a cooking space. Log-wall system and ceiling installation clearly represent a rustic look. Then, shabby and white storage here is the element referring to Victorian style. It’s cool if we combine two different styles in one: rustic and Gothic. They use dark-tones to be applied on all Gothic & rustic styles. Gothic brings out chilling-elegance look, while rustic creates warm and luxurious look. Here, we’ll find Gothic style at kitchen’s main elements such as kitchen island and countertop. 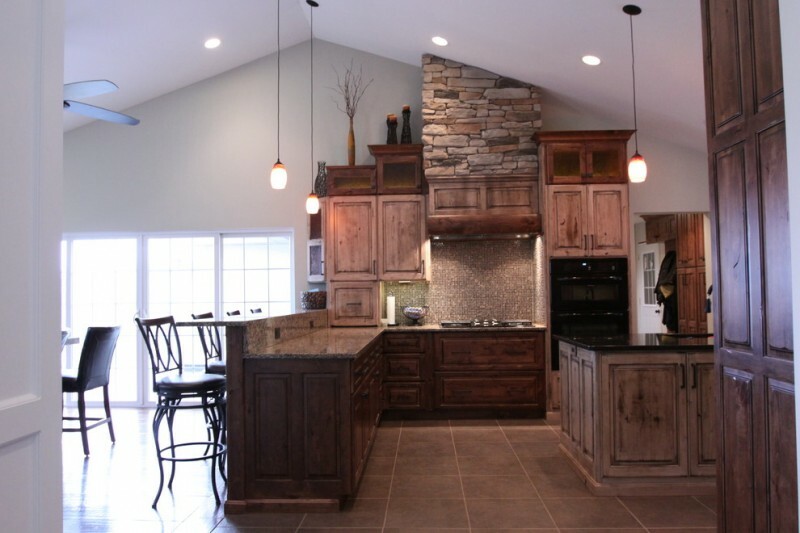 Then, rustic is obviously recognized at kitchen interior. How wonderful if modern and rustic are mixed as one. 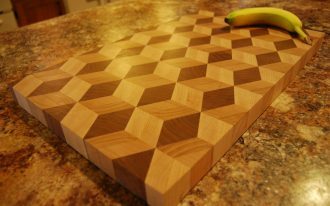 U-shaped kitchen counter is made from best wood. It has been produced without finishing for natural look purpose. 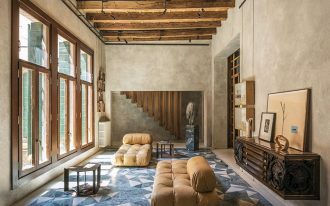 Such appearance, of course, spots rustic-style use in this modern interior. Look at the lighting; the owner uses two different-styles lighting systems: warm-look pendant lamps and modern-recessed lamps at ceiling. That’s smart. Isn’t? Wanna have a kids-friendly and safe cooking area? Perhaps this is the best solution. Let the room large without being added any stuffs, but the primary kitchen elements such as kitchen appliances, kitchen counter, and sink & faucet. About the color scheme, just consider your preference. 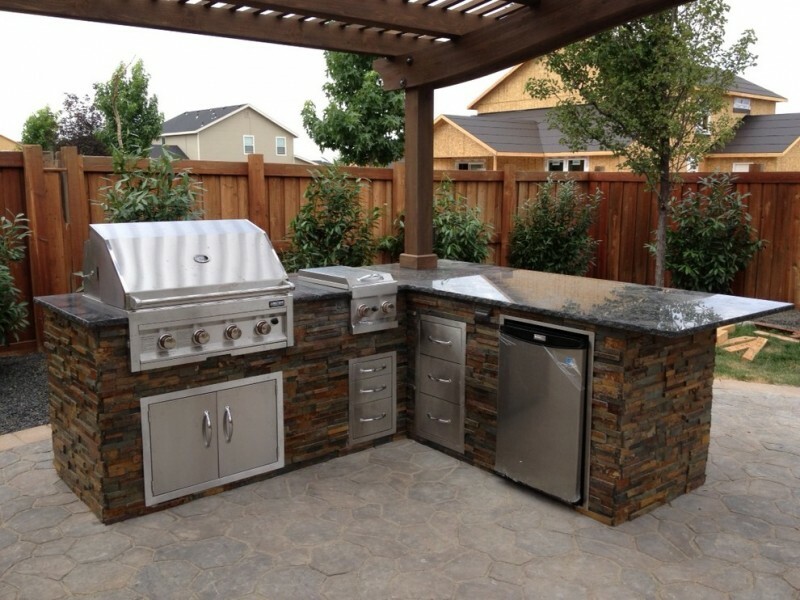 An outdoor kitchen is commonly used for BBQ party or other outdoor parties like summer party, etc. Opened window brings the natural light into the kitchen area. Small-size counter with textured-cream tile backsplash creates stylish look for the kitchen. 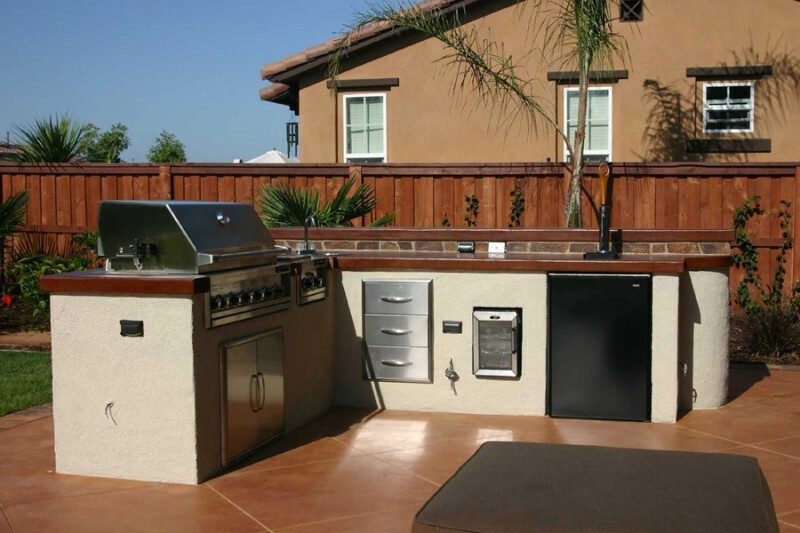 Searching for low-budget outdoor kitchen? That’s right, this is the answer. 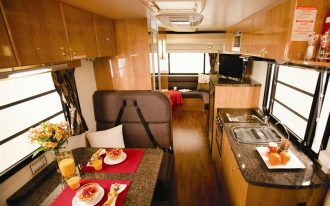 The kitchen is designed in small size but as effective as ordinary kitchens. 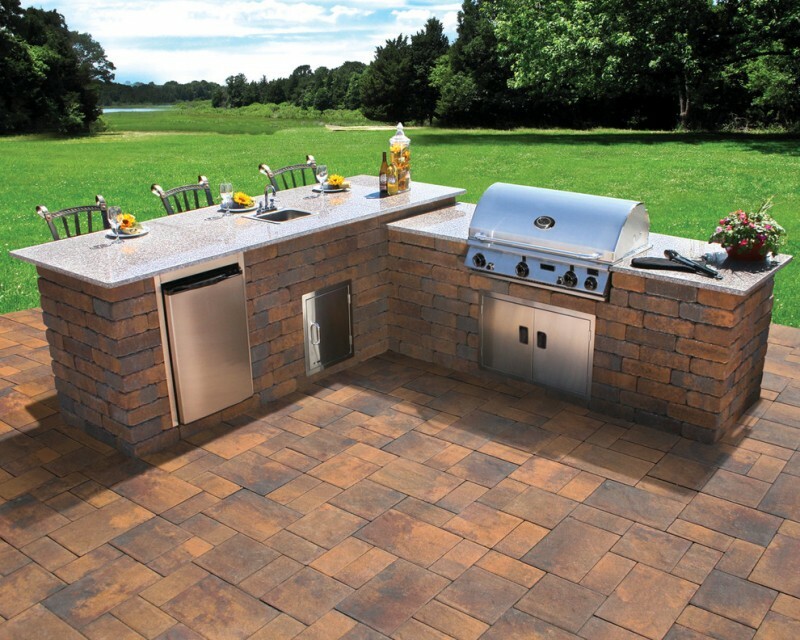 Interestingly, a BBQ island has been inserted at one of countertop’s spots. 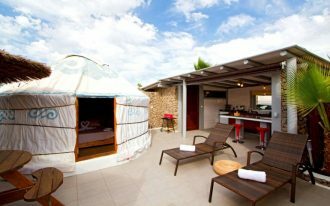 Spend more time at outdoor living space by enjoying tasty dish cooked at such lovely outdoor kitchen. BBQ island offers practical solution when we’re going to ask some friends to join at our BBQ party. 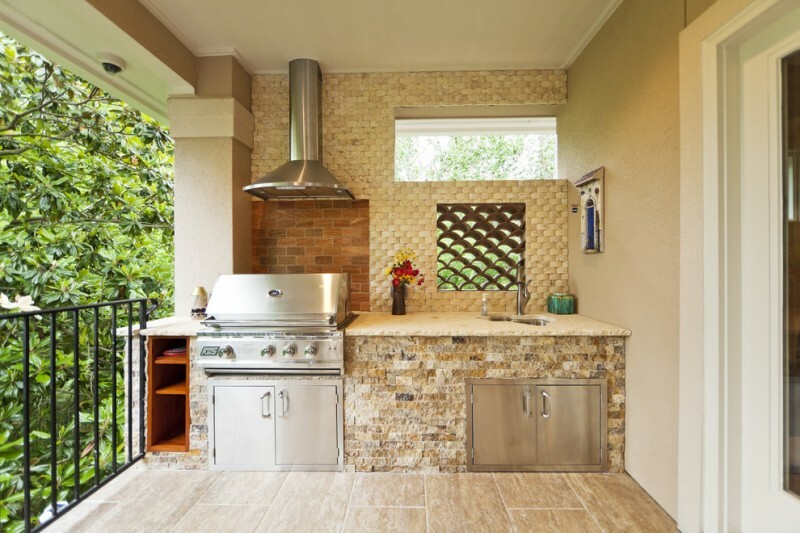 A corner rustic-modern outdoor kitchen is well perfect for us loving outdoor special occasions such as family-gathering, BBQ party, summer fun party, etc. It’s best solution for organizing the party at a small/ limited living space. 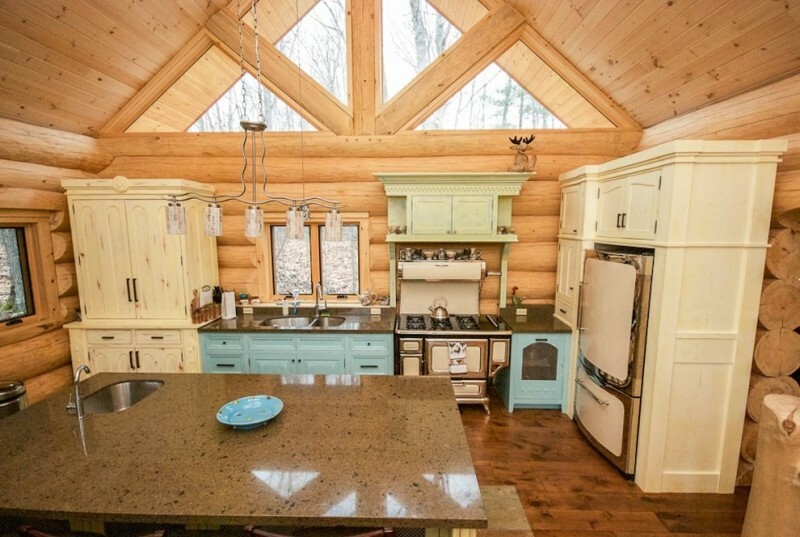 Uniquely turquoise kitchen island is a focal point of energy-efficient kitchen. It, then, brings the space cooler and more attractive. 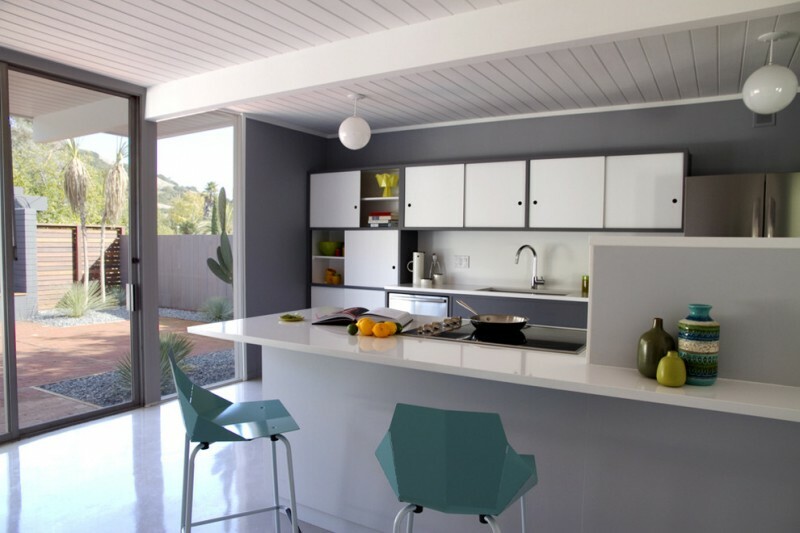 Full-grey kitchen tone is little brighter after being inserted such fun color. 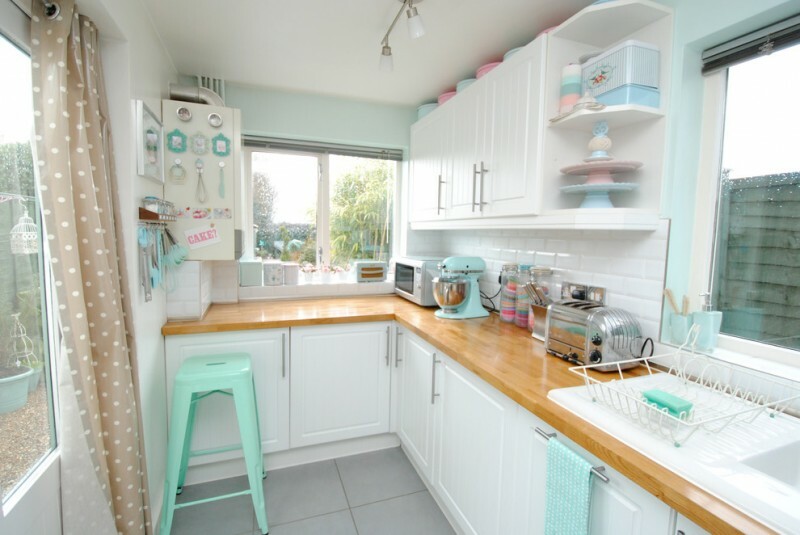 Small corner kitchen set with turquoise scheme is always interesting. It’s been perfect if white and natural elements have been added. 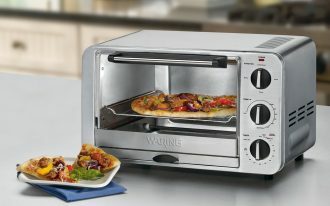 Wood countertop, for instance, gives good balance and helps to create warming look at the kitchen. 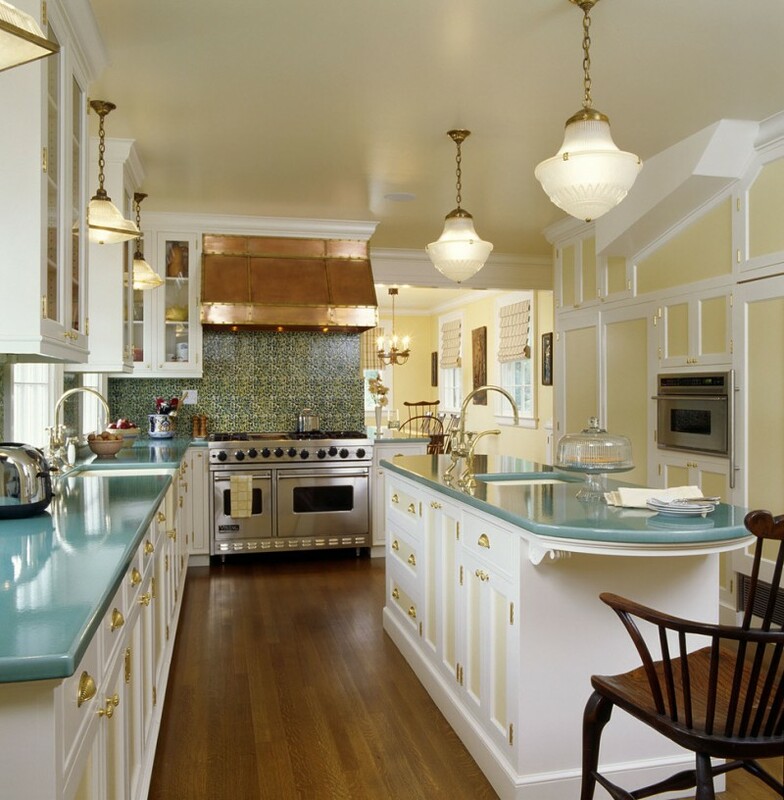 Turquoise with less proportion is also pretty to be applied for kitchen countertop. It becomes a highlight among dominating white kitchen elements. Breakfast nook with turquoise scheme is also interesting. 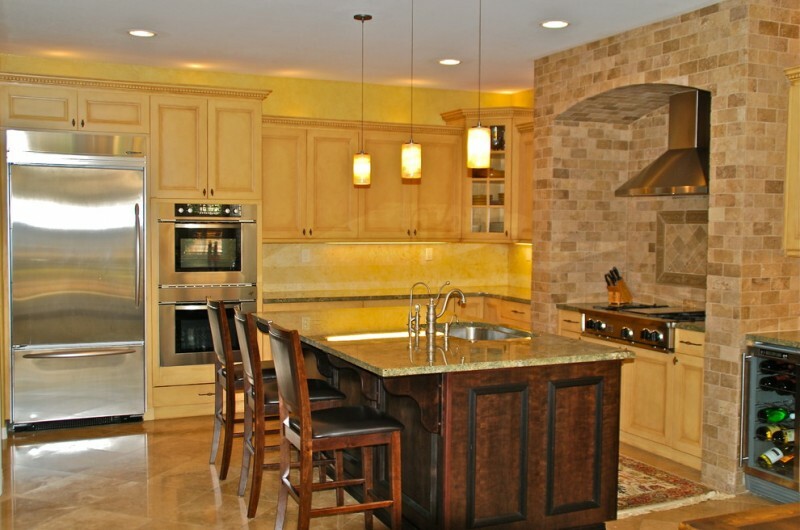 Moreover, when it is combined with other highlighting colors like orange, it makes the kitchen looks vividly fresh. 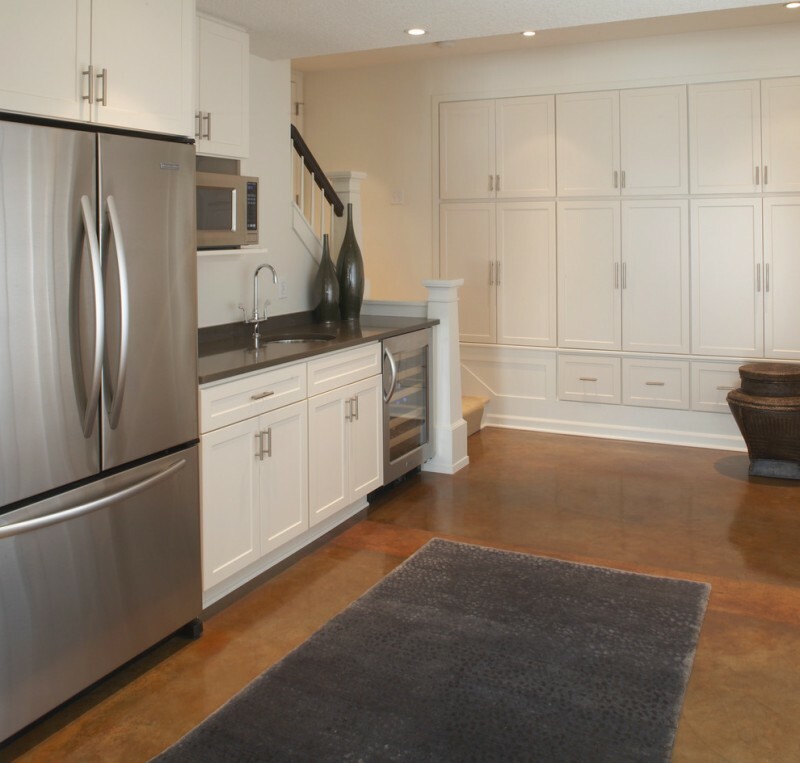 This kitchen idea is best alternative to provide bigger space for a small-space kitchen. Right choice of color scheme is also crucial. Why? White color here helps in creating the room looks bigger. This is the reason why most small rooms are well recommended to use white or other light color schemes. 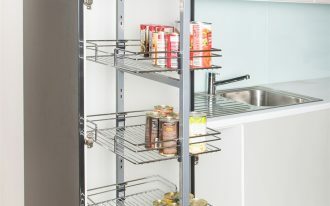 Use a full-vertical kitchen cabinet as the room partition. It will be much more perfect if it is mixed with white color tone which is applied for kitchen countertop and kitchen island in minimalist look. It’s gonna be fun to do two hobbies in one time. 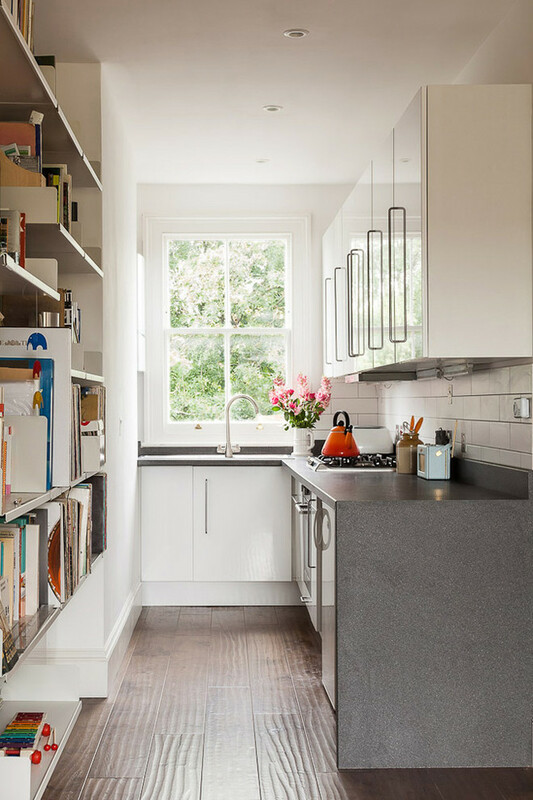 This kitchen design let us to enjoy cooking and reading as well. Just collect and store our lovely novels or recipe books at a huge book rack behind. Get the easy access to reach the book we need just by moving a few steps. Like previous image, mix grey-white is perfect combination enhancing any rooms, including small ones. Use white color as dominant one for wider and bigger purpose, then grey or bold grey can be used for non-primary kitchen elements. Monochromatic style isn’t only about black and white. 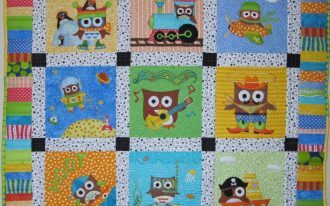 We can use other color tones as the additional scheme without reducing black and white proportion as the primary schemes. 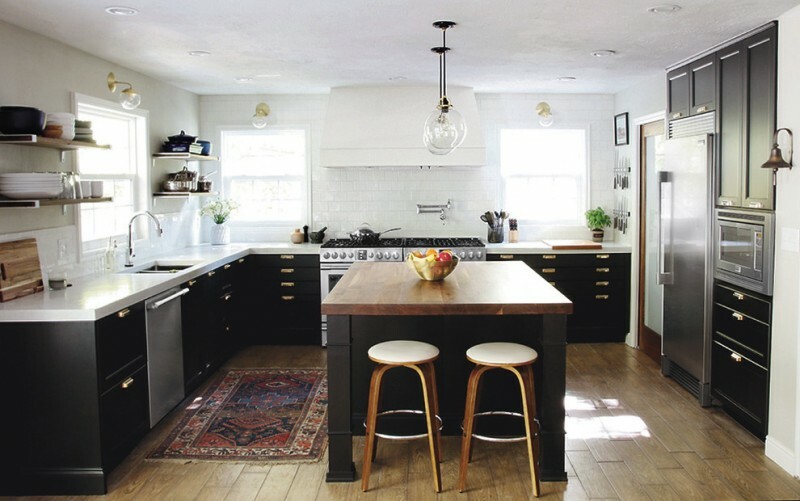 Black is dominantly applied on kitchen island’s base and cabinets. Then, white is used for covering the kitchen countertop. These parts, indeed, are included as kitchen’s primary items. Good combination of white and black successfully creates luxury and expensive values. 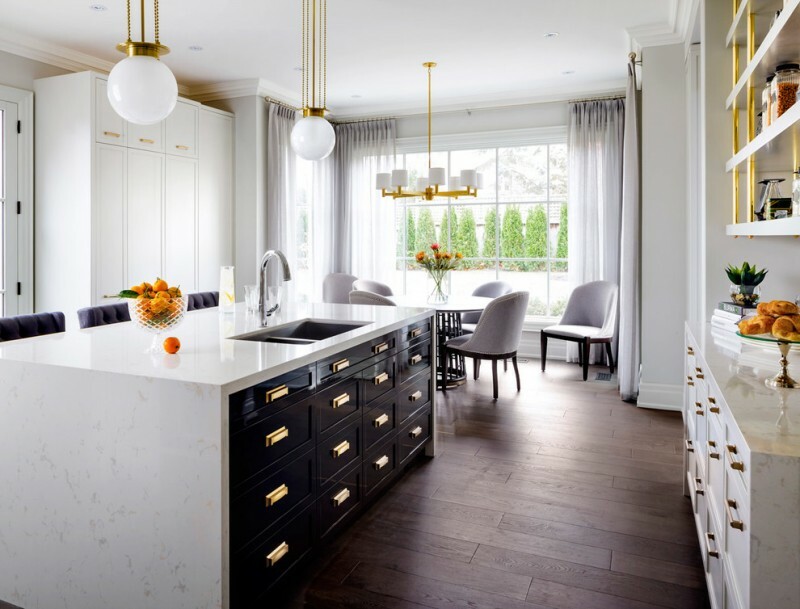 Gold tone applied on pendant lamps and cabinets transforms the kitchen into higher-valued space. 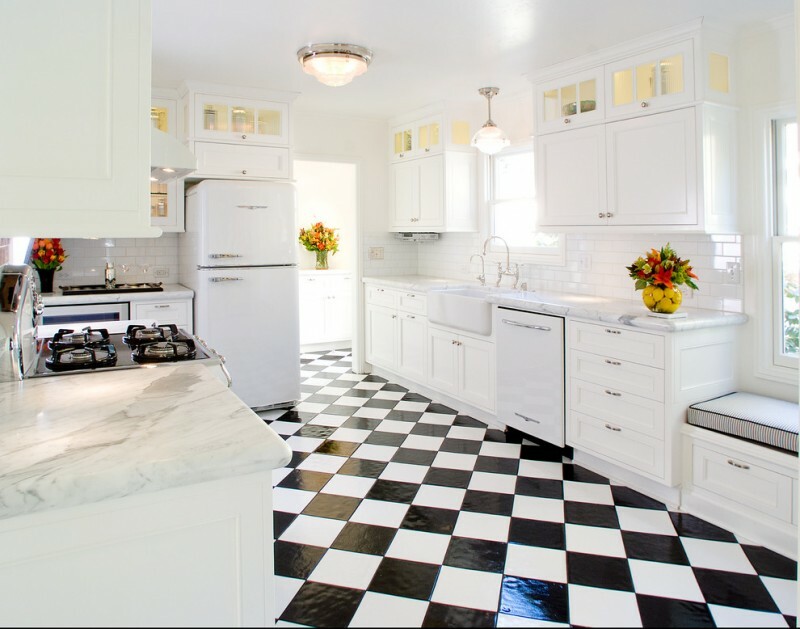 Monochromatic trend is recognized in kitchen floors. 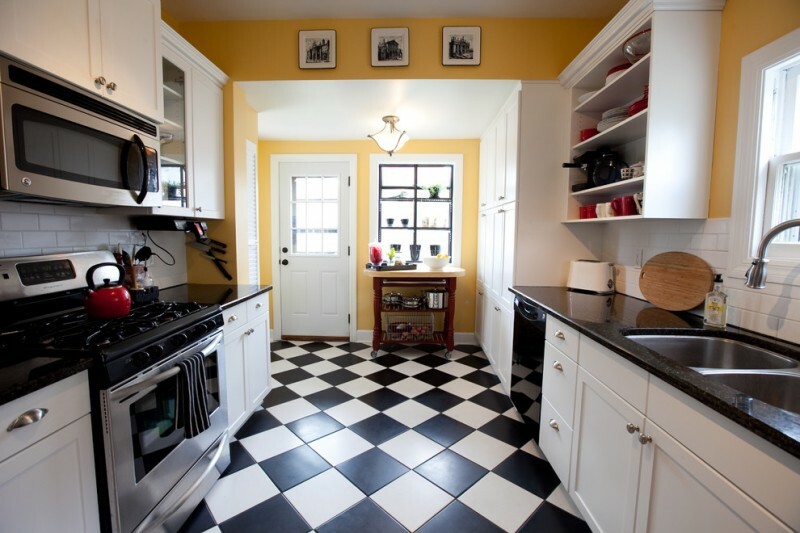 Black still dominates the kitchen counter; and white covers the cabinets. Yellow here is an accent of room, so it’s recognizable as strong as black and white. Still about black-white or monochromatic flooring style; but this is fully monochrome trend in which the element is covered by black and white only. There are no other spots that are obviously spotted at black-white scheme. Create an Asian circumstance only by adding a little touch of Oriental accent. 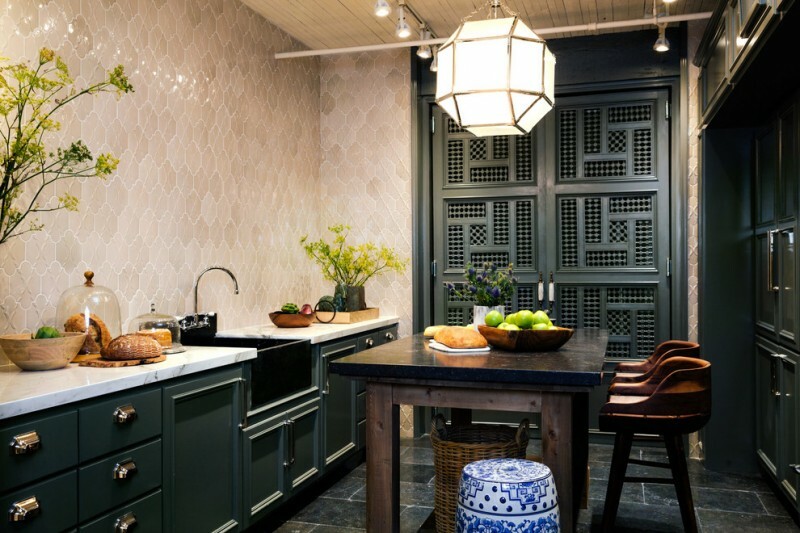 A vividly flower and some Asian bowls, for instance, are examples of creating oriental-style kitchen in instant way. 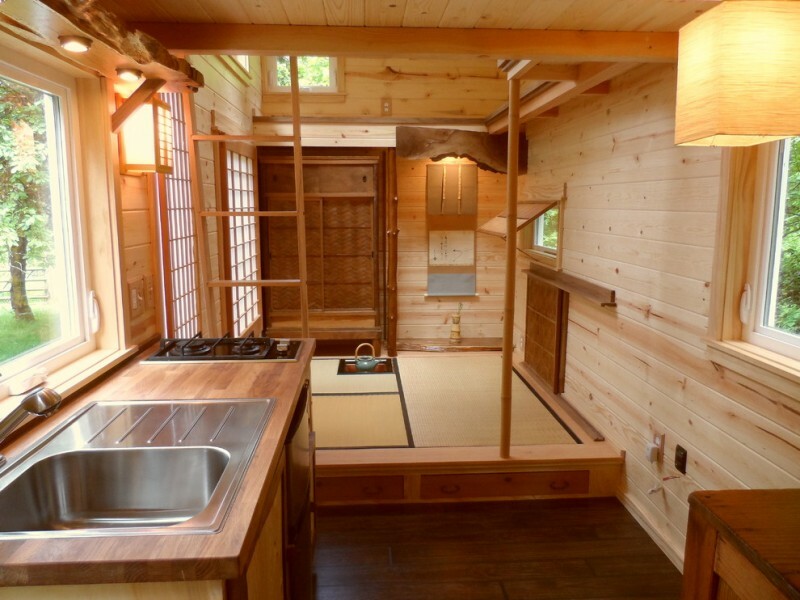 One of Japanese kitchen’s characteristics is a vacant space without any furniture to sit. People have meals by sitting on floor which has been covered by soft and comfy natural fiber mat. 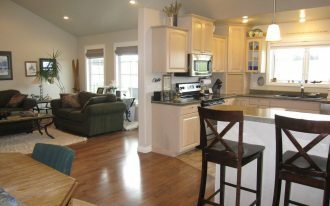 Just few similar kitchens use dining furniture to complete the room. The lantern (oriental traditional lamp) and porcelain side table are two items that are significantly recognized as Oriental stuffs.